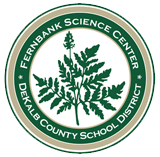 Monarchs Across Georgia is offering this 10 hour, 1 SDU course exclusively for Dekalb County teachers. Through the workshop teachers will explore basic butterfly ecology, learn about monarch butterfly citizen science projects and discover ways to create pollinator habitat in their schoolyard. Each participants will receive Monarchs and More: An Inquiry and Arthropod-Based Curriculum. Teachers must select one of three grade-level curriculum guides: K-2, 3-6, or Middle School (also appropriate for high school). The curriculum guide takes an interdisciplinary approach incorporating concepts and skills in science, math, reading, writing, art and social studies. Monday, November 5, 2018; 4:00-6:00 p.m.
Tuesday, November 6, 2018; 8:00 a.m.-3:30 p.m.